I took my Christmas tree down today. I am sure going to miss all the sparkle and twinkling lights. 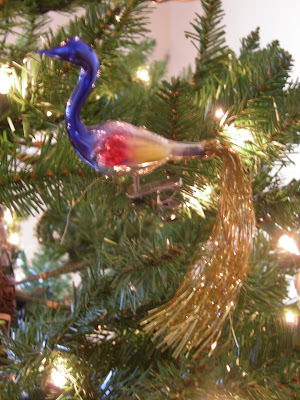 I decided to take a few pictures of some of my favorite ornaments. I love how colorful and sparkly it is. 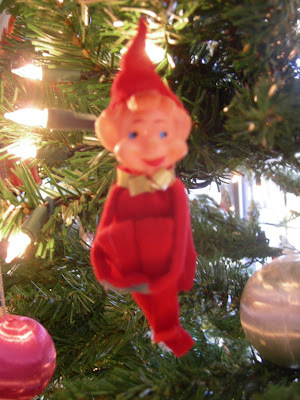 My mom gave me 2 pixies from my childhood tree. I just love having them on my own tree now. We got him on a trip to the Grand Canyon. 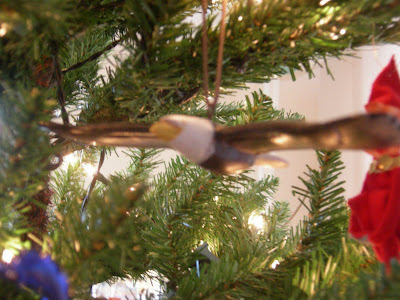 My newest ornament this year...flying eagle. Miss C. loves to help me find new ones too. I have many fishing ornaments & bears. Course the kids just took the head off of one of my bears, so I'm down one. Love the ones you have! Happy New Year! I'm ready to take our tree down too! Love the smell of it though! 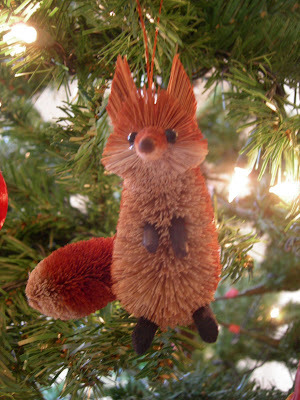 Great ornaments - love the fox one and the one from your childhood is great! Wonderful idea! Cute ornaments. Love the fox.